This is a genreal purpose woodworking adhesive for interior use and can be used on all woods, soft, hard, chipboard etc. 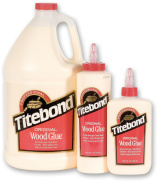 The brand leader of wood adhesive. Dry in 90 seconds Araldite Rapide offers incredible bond strength for those in a hurry. 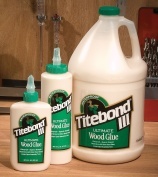 Used primarily on old furniture to ensure compatability. Pearl Glue is the traditional wood glue that is melted before use.